The MPA program at the University of Texas is number one for a reason. The faculty is amazing. The research being done is innovative. And, the students are brilliant. But, sometimes being around such greatness can be a lot of pressure. The environment is very competitive even with the comradeship fostered by both Longhorn and McCombs school spirit. Everyone around you worked hard to get to where they are and they continue to work hard to get to where they want to go. On top of all that, there’s an expectation of excellence within the MPA program. It didn’t reach #1 for nothing! While accepting the challenge will be great for any students future career, it can be stressful. I’m going to share some strategies I use to manage the stress. Every night I try and get the recommended 8 hours of sleep. I take this especially serious before I take exams. Some students will try to tell you they only need 4-6 hours of sleep and they feel alright. But, getting the doctor recommended amount of sleep not only keeps you sharp and focused, but also decreases your stress levels. 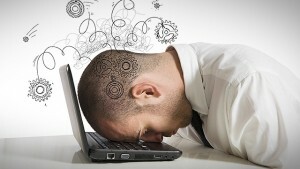 Being tired can make you irritable and less ready to take on challenges during the day. If you’re tired before all of your classes it’s going to be difficult to pay attention. This will eventually catch up to you when its time for exams. Working out has two benefits. If you do it regularly, it gives you more energy throughout the day. It can also serve as a great stress reliever on your most frustrating days. If there’s a big event coming up that I’m worried about, I’m more adamant about exercising. Working out burns some of the energy I would’ve put towards thinking about my anxieties. This last tip is a bit corny, but it really works. I’m always looking for ways to optimize my performance. But, it can also lead to a lot of stress because of all of the pressure you are putting on yourself. In my apartment I have a mason jar that I call my “happiness jar.” At the end of everyday, I force myself to write down three to five positive things that happen to me. It reminds me to not only focus on the long term goals, but to enjoy the present. Stress isn’t always negative. It’s a great motivator and is very helpful when solving difficult problems. But, it shouldn’t be a constant thing. So, next time you’re feeling stressed try one of my tips. I’m excited to say my trip to Precision Camera was a success. After two visits, I left with a brand new Sony a6000 camera. Its been about two weeks and I absolutely love it. It was great to have a quality camera to take pictures with for Halloween. Photography is interesting because the more you get into it the more you realize how challenging the craft is. Every time I’ve been out to shoot I learn something new about my camera. High-powered cameras have so many features built into them its crazy. Personally I hate reading instruction manuals, so I’ve been learning about my device through trial and error. I also think one of the best ways to learn is by observing others. A few of the times I’ve been out with my camera my photography friends have been with me. I always ask for feedback on the photos I’m taking. Having a second opinion always helps. People always notice things I would never think about. It’s also cool to go out and shoot with them because they’re great at finding cool spots to take pictures. Trying to find the perfect spot for photos is one of the hardest parts of photography. A place my be aesthetically pleasing in person but show up terribly in photos. A lot of this has to do with lighting. Natural light provides the perfecting illumination for eye-catching photos. But, depending on the time of day natural light can make your photo look very different. Luckily I’ve been getting a lot of practice playing with different lighting lately. Because we’re seniors many of my friends and I are trying to cross things off of our Austin bucket list. Going to all of the cool places Austin has to offer has given me a chance to capture some amazing photos. Investing in a camera has not only allowed me to capture memories, but it also has given me a new challenge. I hope to continue to get better at photography. 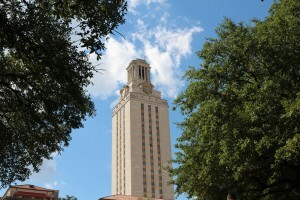 If I keep improving, I might even submit a photo for the MPA Photo Contest: Around UT in 20 days. Since I’ve been a child, I’ve always been interested in art. I was active in the art program all throughout high school. I even won some awards for my photography when I was a sophomore. But as I got older I spent less time focusing on my hobby. It’s crazy how you can lose site of things that you love as time goes on. I recently started a new job that requires me to take pictures and this past month has re-energized me. It’s made me realize how important it is to continue to partake in your favorite pastimes no matter how busy you get. 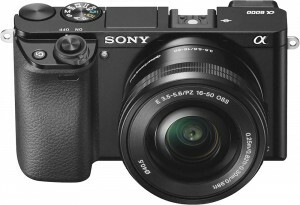 That’s why this week I’ve finally decided to purchase in my own camera. Buying a quality camera is an investment. Up until recently I wasn’t sure I was ready to commit. If you aren’t going to use it, then it might not be worth it. In the past year, many of my friends have invested in cameras. Sometimes they bring them when we hang out and we get such amazing shots. It’s such a great way to keep memories. I don’t really enjoy getting my photo taken, but the images are so clear I actually don’t mind getting photographed as much. Being a bit of a laggard in the photography movement has also given me a chance to try a lot of different cameras out. Whenever someone takes a picture of me, I always offer to take one in return. It’s an amazing feeling when you truly capture the essence of someone. Cameras are also great for social media. I have a friend that is relatively famous in social media. Her profits from her blog actually increased when she invested in a camera. She and another one of my friends have found a way to turn their hobbies into a revenue stream. They’re both part of the reason I was inspired to buy a camera and they were two of the first people I solicited for advice. After reaching out to my photography friends for tips on what to look for in a starter camera and doing some of my own research, I believe I’m ready to make a final decision. I’m excited to visit Precision Camera sometime this week and hopefully make a purchase. 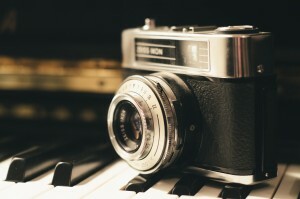 It’d be amazing to have something to take great pictures with before the MPA photo competition starts on October 31st. When I first got to college I was very GPA oriented. My parents advised me that my goals in college should not just be about achieving classroom success, but also about meeting people. But, like most things your elders say it passed right over my head. I was a social person. There were tons of people on campus. Obviously, I’d meet new people naturally. Why would I make that a goal? But, as a 4th year I can finally admit that they were right. Networking is important. When my parents told me that I should be continuously meeting people they were really encouraging me to network. Networking sounds intimidating, but the word is multi-purposeful. It’s not just a recruitment term. Successful networking happens when you meet new people and you use your web of resources and their web of resources for both of your benefits. It should always be mutualistic. It’s important to network throughout school for academic success. When you study with a new classmate, you’re successfully networking. The knowledge you bring to the session is different than the insight your classmate will bring. But, by the end of the day you’ll both possess the same knowledge. Many people don’t realize that at a base level the skills we use to form study groups are the same skills we’ll use one day to get a job. I realized this when I first began recruiting for internships. Anyone who knows anything about public accounting recruiting, will tell you networking is the most important skill you need to get your dream internship. The process consist of three weeks of “social events.” Every person you meet and every interaction you have matters. Don’t let the casualness of the climate fool you. These events aren’t just social they’re your interview. By the time I got to office visits, because I had successfully networked I didn’t even get asked any interview questions. They already knew which students they were interested in hiring by then. This climate is exactly why one of your biggest goals in college should be to “learn to meet new people.” It’s the practice round for the real world. College is important because it is the only rehearsal you get for learning how to quickly make connections. So, the next time someone invites you to a social gathering, info session, or new study group say yes. It’ll help you in the present and the future.